Ingos Erfahrungen als Organisator des �TE-FR 2012. Das Buch hat 205 Seiten. ISBN 978-3-95488-207-6. Preis: 12 Euro. Alle B�cher k�nnen beim "Engelsdorfer-Verlag" bestellt werden. Gern k�nnen die B�cher auch bei Ingo direkt bestellt werden und er schreibt eine Widmung hinein. 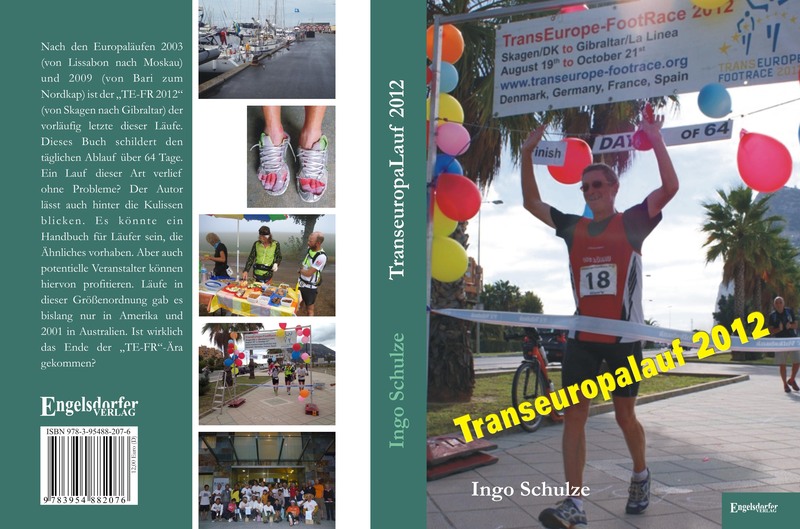 Ingo Schulze, our organiser & RD wrote a book about his experience with the 2009 TEFR. 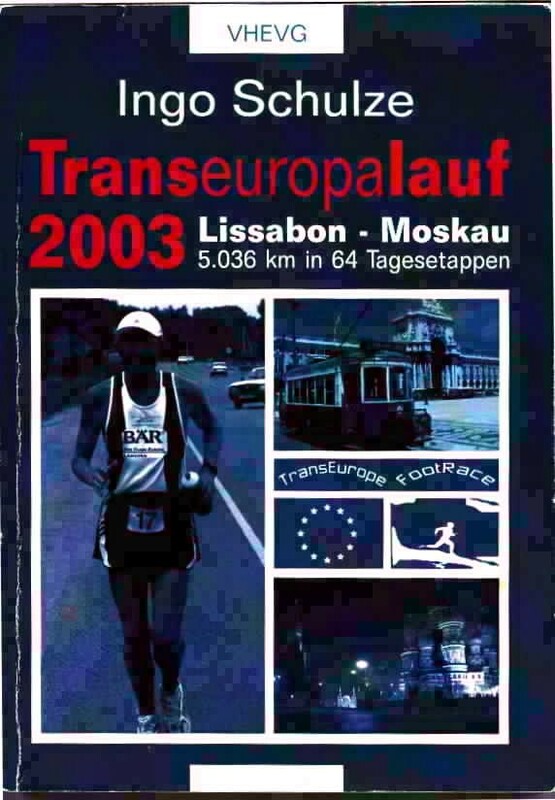 The book is available at: Engelsdorfer Verlagsgesellschaft with the ISBN-Nr 978-3-86901-782-2 for the price of Euros 12.00.Title: �TranseuropaLauf 2009� However you can order it directly from Ingo with the addition of postage. You also can request his autograph and a short appropriate paragraph. 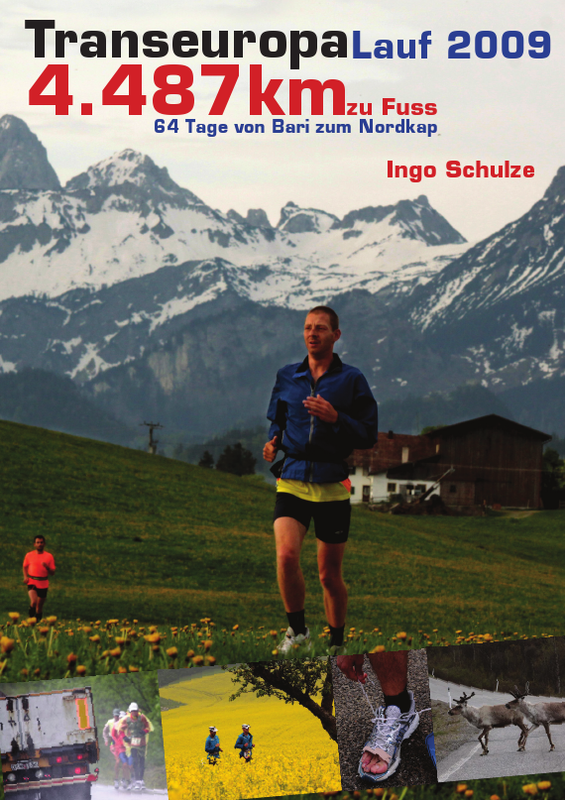 Ingo Schulze, our organiser & RD wrote a book about his experience with the 2003 TEFR. This web site has mostly been translated into English. Especially the Participant Rules and Regulations were translated with much care so they are equal to the German text. The translation of most pages into other languages is planned. However the main emphasis will be on the navigation. There will be NO translation of the participation rules & regulation. Most of the translation is done by Jürgen Ankenbrand. The three right columns indicate in how many hours and minutes a runner will be expected at a certain point in the race if he/she run an average of: 6, 8 or 10 km per hour. Except for the 1st and last stage the 2/3 slower runners will start at 6 AM, the rest start at 7 AM.